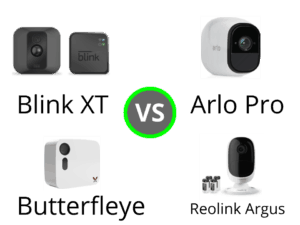 The Blink XT is a dynamic weatherproof camera that can easily serve as the backbone of a modern home security system. While such a camera is useful, at first glance it may also seem limited. After all, what use is an outdoor security camera if you can’t easily be notified of what activities are occurring outside of your home? Thankfully, Blink has taken efforts to make such notifications extremely easy through IFTTT. IFTTT, or If This, Then That, is a useful service that offers dozens of applets to help you get the most out of your Blink XT Camera. One of the most important assurances that a home security system delivers is peace of mind while you are away. Yet it is often easy to forget to arm your security system while leaving the house. Luckily, this applet solves that problem and automatically arms your Blink system every time you leave the house, ensuring your family peace of mind. Similarly, disarming a security system when you arrive home can be a hassle. The “Disarm your Blink System” applet takes care of this chore for you, automatically disarming your Blink system every time you arrive home. But what if you forget to arm you Blink XT before you leave the house, or want to disarm your system before you get home? These issues can easily be solved via the “Text to Arm” and “Text to Disarm” applets, which allow users to change the status of their Blink system while they are away through a simple text message. One of the greatest benefits that the Blink XT camera provides is the ability to get quick notifications on the status of your home sent straight to your smartphone. Through IFTTT, users can receive a phone call or email the moment that the Blink XT detects motion. This feature could prove especially useful for cameras placed in discrete locations where motion could signal that unusual activity is occurring outside your home or residence. As products for easily creating your own smart home continue to become available, it is increasingly important for these products to be able to work in tandem. For users of the Blink XT that also have a Nest thermostat or Philips Hue lights, IFTTT applets can disarm Blink, set your Nest to “home”, and turn on your Hue lights via Google’s Voice Assistant. For Blink users interested in creating a true smart home, this applet may prove to be the most useful, as it automates multiple tasks at once through Google Home.